Krystyna Breger, PhD, is an accomplished psychologist in private practice, and a former university professor who taught at Poland’s prestigious Jagiellonian University. She’s also the widow of the architect William Breger, a beloved NYSID faculty member who was a force at the College from 1946 to 1995. William Breger’s History of Architecture course was a perennial favorite with students, and he designed NYSID’s former 56th Street facility. The William Breger Faculty Award was established in 1995, and Krystyna and Bill endowed it in 2014. The award has been given to 23 faculty members including Eric Gering in 2018. William Breger passed away in 2015. In 2017, Krystyna Breger decided to expand his legacy and underwrite a medal to go with the award, as well as an accompanying dinner on the eve of Commencement. Dr. Breger is also a generous supporter of scholarships. Here’s her take on why she’s done so much for NYSID. What made you and your husband decide to endow an award for faculty achievement? I’ll have to start with my memory of Bill’s last lecture, before he retired at 72. Bill was easy going, but that night he was nervous. A half hour or so before the lecture there were about five people in the audience, in the old auditorium, and he said something like, ‘Oh well, that’s how it’s going to end.’ But then people poured in—students and past students and colleagues—and by the time he started speaking, they were standing in the back. It meant so much. A few weeks later, NYSID started an excellence in teaching award in my husband’s name without asking us for a penny. This moved me. . . the fact that the school rewarded great teaching for its own sake, so we volunteered to endow the award. Why did you decide to underwrite a faculty medal and celebratory dinner? It was about honoring my husband’s memory, but also about celebrating the art of teaching design. Remember, I was once a teacher as well. Great educators are motivated by their impact on students, and if I can make it possible for generations of extraordinary teachers to come together, share ideas, and feel appreciated every year, well, I think that’s a worthy thing. Why are you such a generous supporter of NYSID’s scholarship fund? It was important to me that some of the money I donated go directly to students in need. When you make education possible for a talented student who does not have the financial means to study, you can change the course of a life and make an impact for decades to come. If you are interested in joining Dr. Breger as a supporter of the New York School of Interior Design, please contact Joy Cooper, Director of Development, at 212-452-4197 or giving@nysid.edu. 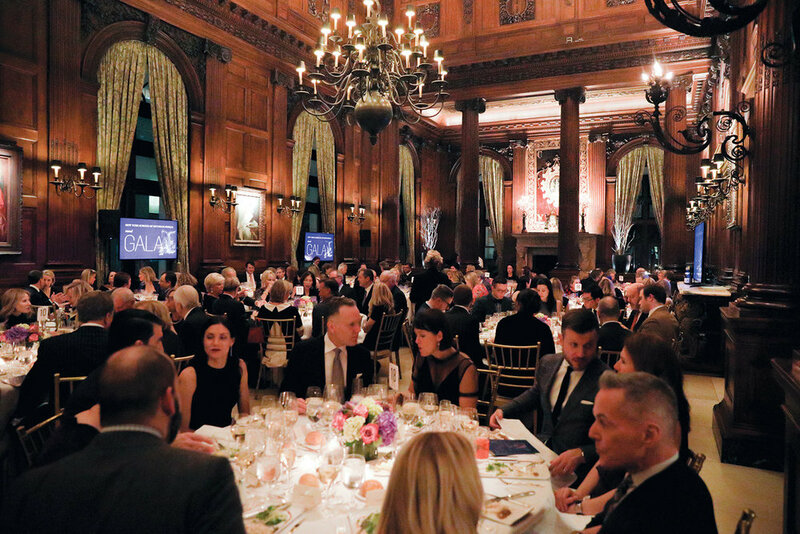 Our heartfelt appreciation goes to the more than 250 friends who came out to support NYSID’s scholarship fund at the Gala on March 6, 2018. The event, co-chaired by NYSID Trustees Alexa Hampton, principal of Mark Hampton LLC; Newell Turner, design publishing veteran; Betsey Ruprecht, owner of Decorative Antiques Ltd.; and Maria Spears, philanthropist, was one of the highest grossing NYSID benefit to date. NYSID President David Sprouls remarked, “Your generosity translates directly into scholarships for our talented and hardworking students, helping them to achieve their dreams.” NYSID awarded Suzanne Rheinstein, founder of HOLLYHOCK, the Albert Hadley Lifetime Achievement Award in recognition of her remarkable work as a designer of elegant and livable spaces. Landscape architect Jorge Sánchez received the Thomas N. Armstrong III Award in Landscape Design for his exemplary work in landscape design. NYSID awarded Edwina von Gal, principal landscape designer of Edwina von Gal + Co. and the founder of a nonprofit called The Perfect Earth Project, the Green Design Medal in recognition of her longstanding commitment to sustainable landscapes.